The big three retailers offered exclusive editions for several of the titles released April 16. 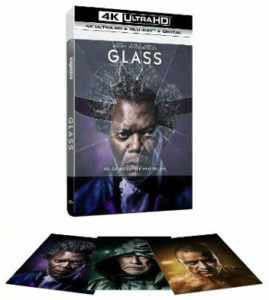 For Universal’s Glass, Target offered a $27.99 Blu-ray combo pack with box art by Alex Ross and Steelbook packaging. 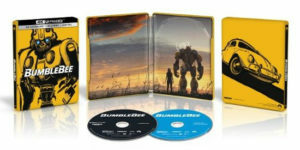 Best Buy, which is typically known for Steelbook exclusives, instead offered the 4K Ultra HD Blu-ray combo pack of Glass with special slipcover art and three art cards of the main characters from the film. 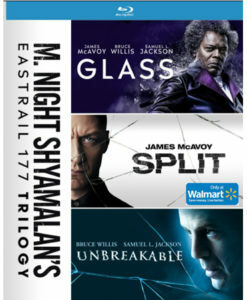 Walmart’s exclusive was a triple-feature Blu-ray of M. Night Shyamalan’s “Eastrail 177 Trilogy,” grouping Glass with predecessors Unbreakable and Split, for $29.96. Eastrail 177 is the name of the train that derails in the first film, Unbreakable. 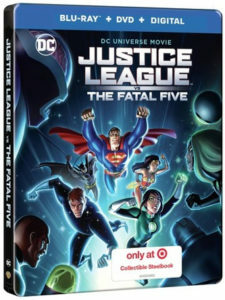 Target had another Steelbook edition during the week, in the form of Warner’s Justice League vs. 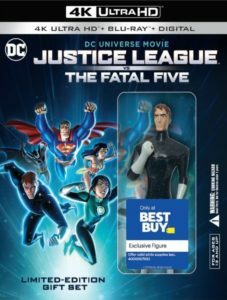 The Fatal Five Blu-ray combo pack. Best Buy offered the 4K Ultra HD Blu-ray of the animated superhero film with a pack-in Star Boy fiture for $33.99. 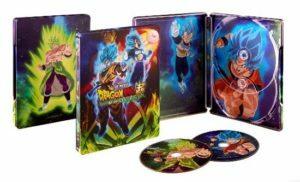 A third title to arrive during the week with retail exclusive editions was Funimation’s Dragon Ball Super: Broly — The Movie. Best Buy had a Steelbook edition of the Blu-ray for $27.99, while Walmart had lenticular box art for $19.96. 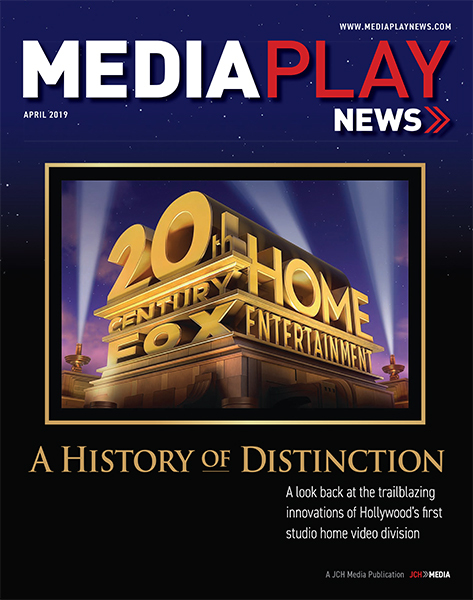 Subscribe HERE to the FREE Media Play News Daily Newsletter! In a week highlighted by a modest slate of new releases, retailers didn’t put out much in the way of exclusives April 9. 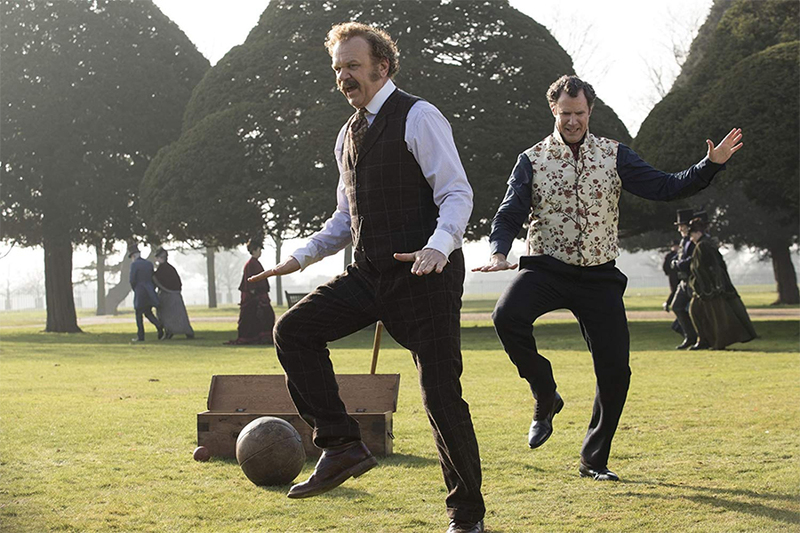 The most notable was Walmart’s tie into Sony Pictures’ new Holmes & Watson and its stars Will Ferrell and John C. Reilly. Walmart offered a $22.96 DVD collection of three movies that teamed Ferrell and Reilly: Holmes & Watson, Step Brothers and Talladega Nights: The Ballad of Ricky Bobby. Otherwise, retailers focused on promoting sales of catalog titles. Target touted previous seasons of HBO’s “Game of Thrones” in the lead-up to the debut of the final season. In addition to DVDs and Blu-rays of the show for as low as $14.99, many Targets have devoted significant space in the collectibles section of the electronics department to “Game of Thrones” merchandise, including new action figures, puzzles, games, plush dire wolves and more. Best Buy touted previously released Steelbook editions and preorders for upcoming titles such as DreamWorks’ How to Train Your Dragon: The Hidden World. 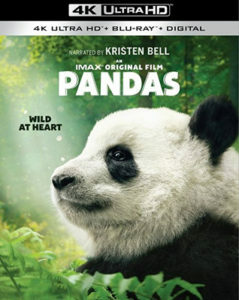 Best Buy has an exclusive 4K Ultra HD Blu-ray of Warner’s Pandas documentary, due April 16 at $29.99. The film was released widely through digital retailers on April 9. 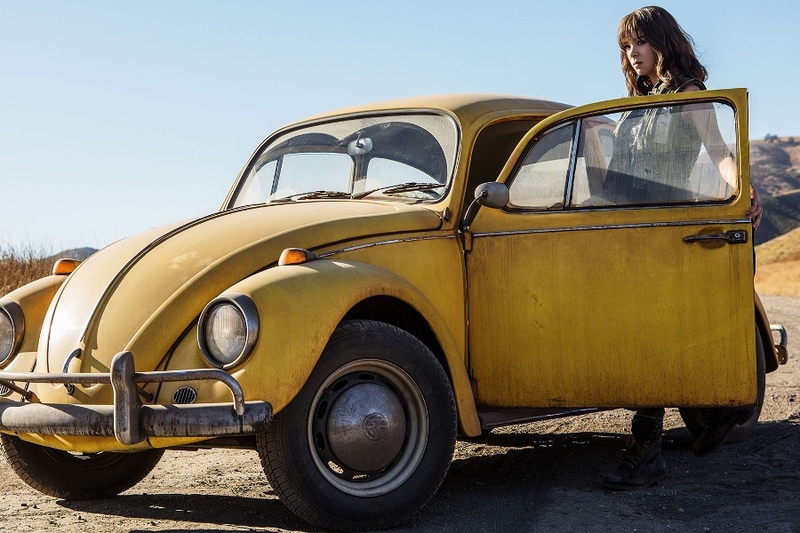 While Paramount’s Bumblebee was the biggest new release of April 2, it didn’t arrive with much in the way of exclusive editions. Rather, two of the big three retailers touted the title with promotions for their own services. Target, for example, offered a free $5 store gift card with the purchase of the 4K Ultra HD Blu-ray combo pack of Bumblebee, priced at $29.99. Walmart offered the Blu-ray and Ultra HD Blu-ray combo packs with a digital copy of the original 2007 Transformers film redeemable through Walmart’s proprietary Vudu digital storefront. Best Buy, typically for them, offered a Steelbook edition of the 4K Ultra HD Blu-ray, at $32.99. 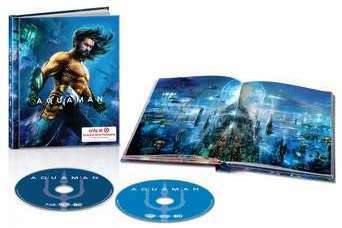 Consumers looking to pick up Warner’s Aquaman on Blu-ray and DVD March 26 had a number of exclusives available to them from the big three retailers. Target had editions of the Blu-ray combo pack ($32.99) and the 4K Ultra HD Blu-ray ($36.99) with gallery book packaging and lenticular box art that switched between images of Aquaman and villain Black Manta. Walmart had two exclusives for the title. 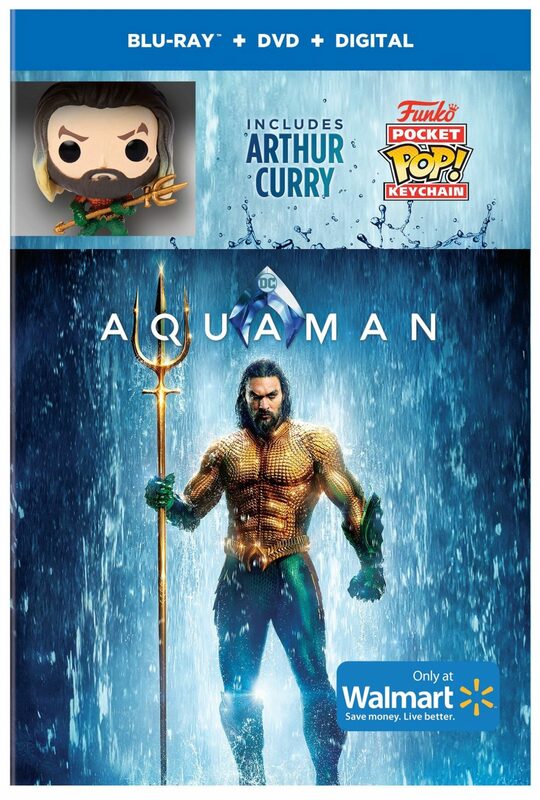 First, it had a Blu-ray combo gift set with a pack-on Arthur Curry Funko Pocket Pop! keychain for $29.96. Interestingly, Walmart’s website offered both the one-disc and two-disc DVD options at the same $17.96 price. Best Buy offered Steelbook editions for both the Blu-ray at $29.99 and the 4K Ultra HD Blu-ray at $34.99. Among other exclusives, Best Buy had a $25.99 Steelbook for Paramount’s 30th anniversary Pet Sematary 4K Ultra HD Blu-ray. 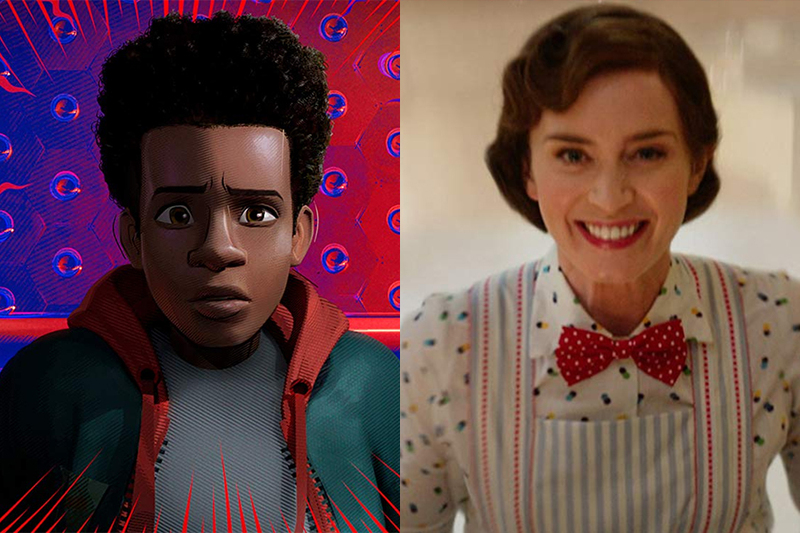 March 19 saw the release of two big titles, Sony Pictures’ Spider-Man: Into the Spider-Verse and Disney’s Mary Poppins Returns, and retailers offered a number of exclusive editions for each. 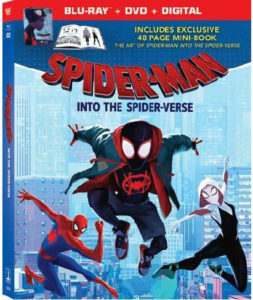 Best Buy had a Blu-ray Steelbook edition of Spider-Verse for $27.99. 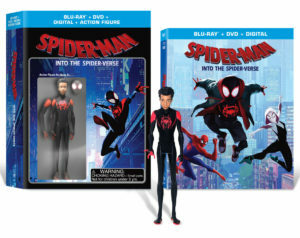 Walmart offered a $27.96 Spider-Verse gift set containing the Blu-ray combo pack and a pack-in Miles Morales action figure. 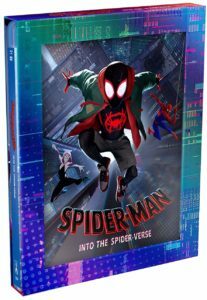 Amazon.com had an exclusive Spider-Verse Blu-ray combo pack with a slipcover containing holographic artwork, listed at $38.99 but marked as out of stock until April 2. 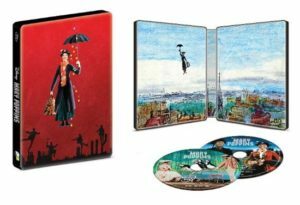 For Mary Poppins Returns, Best Buy had a Steelbook of the 4K Ultra HD Blu-ray combo pack for $34.99, plus a $19.99 Blu-ray Steelbook of the 1964 original Mary Poppins. 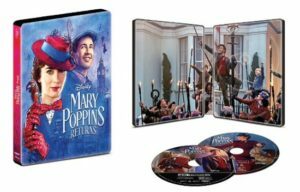 Target offered a 4K Ultra HD Blu-ray of Mary Poppins Returns with digibook packaging containing a limited-edition filmmaker gallery and storybook. It was listed as $34.99 in the chain’s weekly ad circular but $32.99 online. 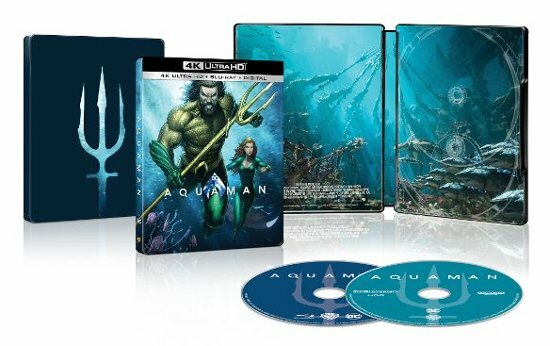 Best Buy also touted a preorder of its exclusive Steelbooks for Warner’s Aquaman on Blu-ray at $29.99 at 4K UHD BD at $34.99. The discs arrive March 26 but the preorder includes a code to watch it now through Movies Anywhere. 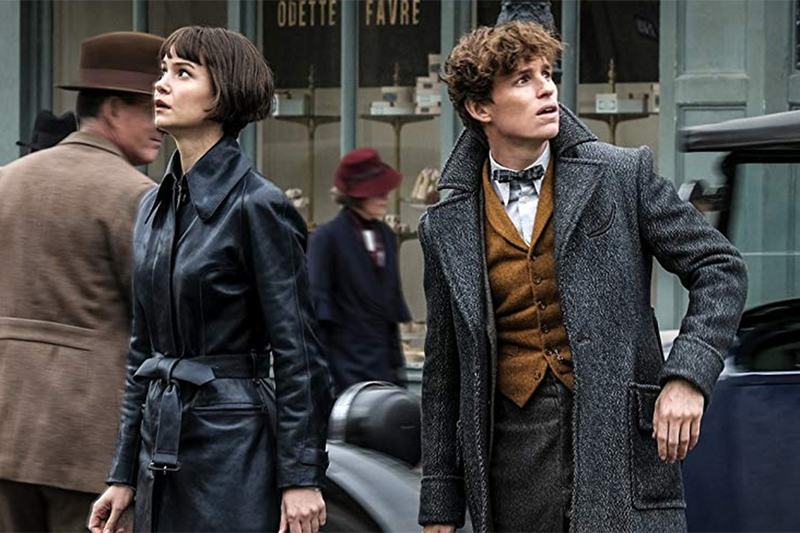 Warner Bros. Home Entertainment’s Fantastic Beasts: The Crimes of Grindelwald arrived March 12 with several retailer exclusive purchasing options. Best Buy had two exclusives. One was a Steelbook of the 4K Ultra HD Blu-ray combo pack, for $34.99. The other was a 3D combo pack that includes a 3D Blu-ray, regular Blu-ray, DVD and digital code, for $29.99. A version of the 3D combo pack available through Warner Archive and Walmart omits the DVD. Amazon’s version of the 3D combo pack is just the 3D disc and digital copy. The digital codes provide access to an extended cut of the film that runs seven minutes longer than the theatrical version. 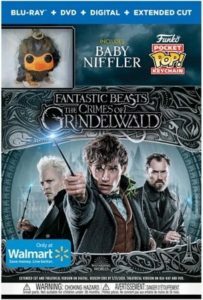 Walmart offered the Blu-ray combo pack with a pack-in Baby Niffler Funko Pocket Pop! Keychain for $29.96. Target had versions of the 4K Ultra HD Blu-ray ($34.99) and Blu-ray ($29.99) combo packs with a 64-page digibook and collectible packaging. Best Buy is touting preorders for the new-in-theaters Captain Marvel, with a $34.99 4K Ultra HD Blu-ray Steelbook. There wasn’t much in the way of retail promotions for new Blu-ray Disc, DVD and 4K Ultra HD Blu-ray releases that arrived in stores on March 5. 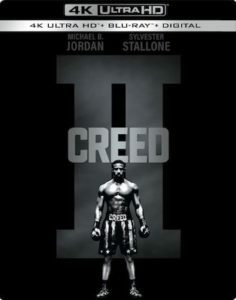 As usual, Best Buy offered a Steelbook edition for the week’s marquee title, the 4K Ultra HD Blu-ray of Warner Home Entertainment’s Creed II, at $34.99. 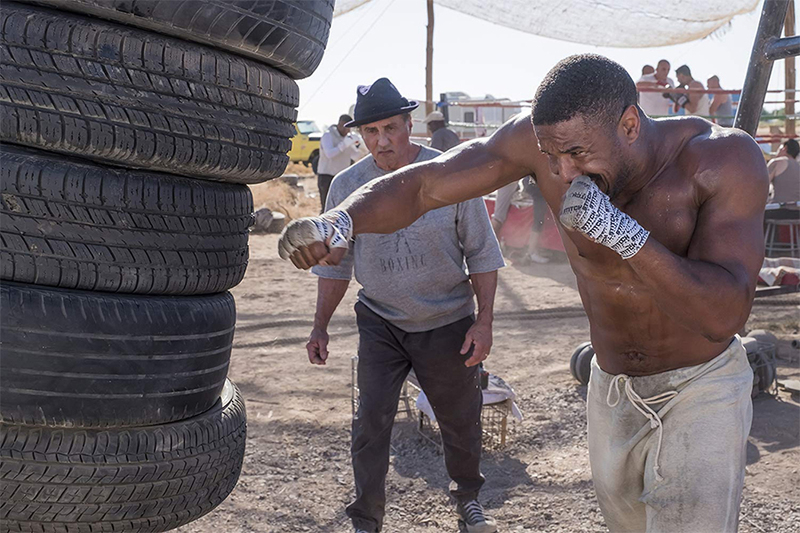 Walmart had a DVD double feature of the two “Creed” movies for $19.96. 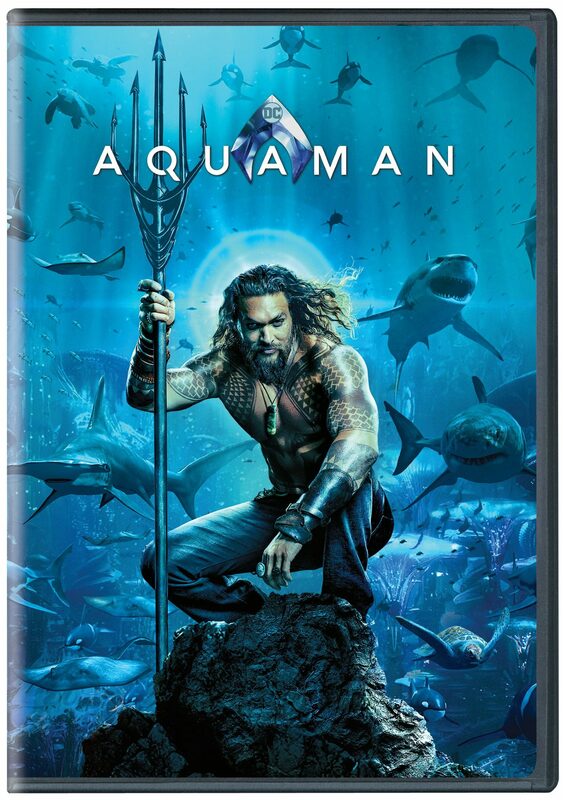 Best Buy is touting preorders for its Steelbook Blu-rays of Warner’s Aquaman, which arrives March 26. The Blu-ray Steelbook is $29.99 and the 4K Blu-ray is $34.99. Aquaman is a 2018 superhero film based on the DC Comics character of the same name, and the sixth installment in the DC Extended Universe (DCEU). It is the third live-action theatrical film featuring Aquaman, following Batman v Superman: Dawn of Justice (2016) and Justice League (2017). 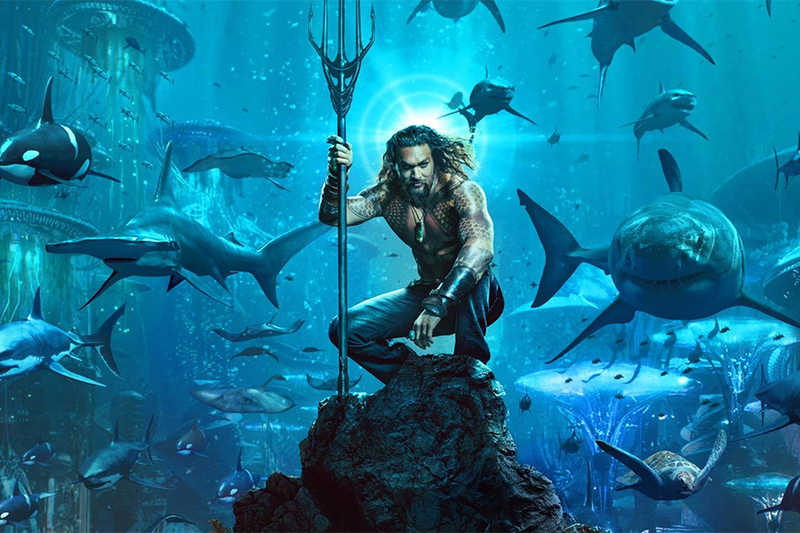 The film follows Arthur Curry, heir to the underwater kingdom of Atlantis, as he rallies his people against his half-brother, Orm, who wants to unite the seven underwater kingdoms against the surface world. With a worldwide gross of $1.1 billion, Aquaman is the highest-earning film based on a DC Comics character, surpassing The Dark Knight Rises. The film grossed $333.7 million in North American theaters to become the No. 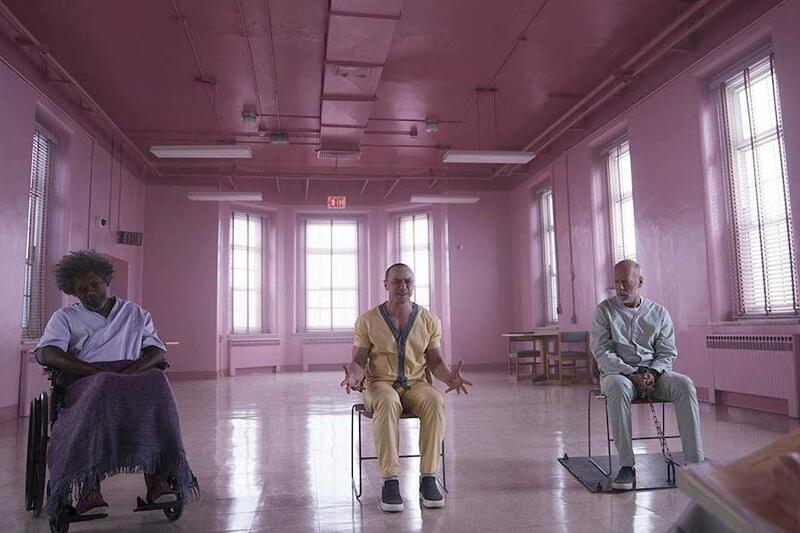 5 theatrical film of 2018. 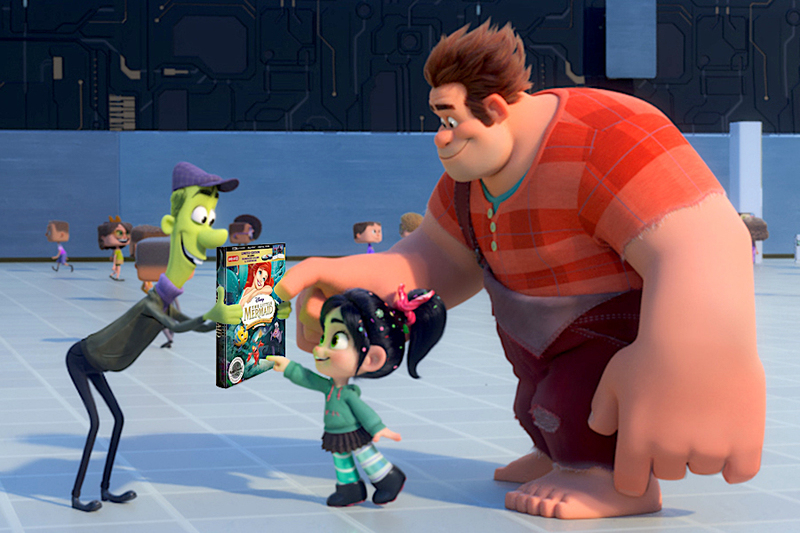 While the Feb. 26 Blu-ray release of Disney’s Ralph Breaks the Internet came with its fair share of promotional exclusives, retailers offered the same types of exclusives with the new “Signature Collection” Blu-ray of The Little Mermaid that arrived the same day. 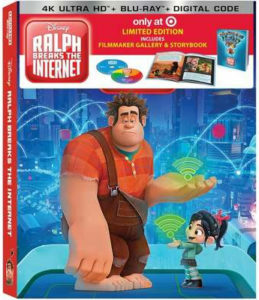 Target offered the 4K Ultra HD Blu-ray combo packs of both Ralph Breaks the Internet and The Little Mermaid with “filmmaker gallery and storybook” packaging for $32.99 each. The standard 4K editions were offered at $29.99 each. Best Buy offered Steelbook editions for each 4K Blu-ray, at $34.99 each. In conjunction with the release of the films, Best Buy ran a promotion touting Disney animated classics on Blu-ray for $19.99 each and on DVD for $14.99. 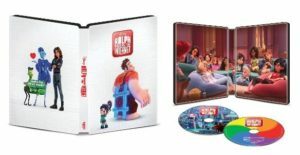 The Disney Store gave away an exclusive set of four lithographs with preorders of the Ralph Blu-ray, as well as a coupon for $10 off a $40 purchase through March 10. 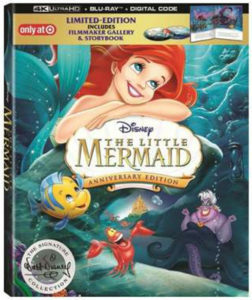 Likewise, preorders of the Little Mermaid Blu-ray came with a lithograph set of concept art from that film. 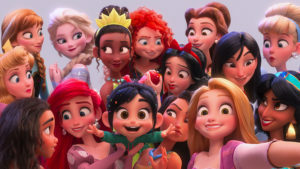 The promotions for both films coming out the same day tie in to a cameo by the Disney Princesses in the Wreck-It Ralph sequel, including Ariel of The Little Mermaid. Speaking of preorders, Target is promoting its future exclusive for the new-to-theaters How to Train Your Dragon: The Hidden World, which will be offered as a Blu-ray/DVD/Digital combo pack with wearable dragon wings for $27.99. Other deals for the week at Best Buy included a $34.99 Steelbook for the Captain America: The First Avenger 4K Blu-ray, and a Blu-ray boxed set of the first seven seasons of HBO’s “Game of Thrones” for $99.90 (a savings of $73.09). 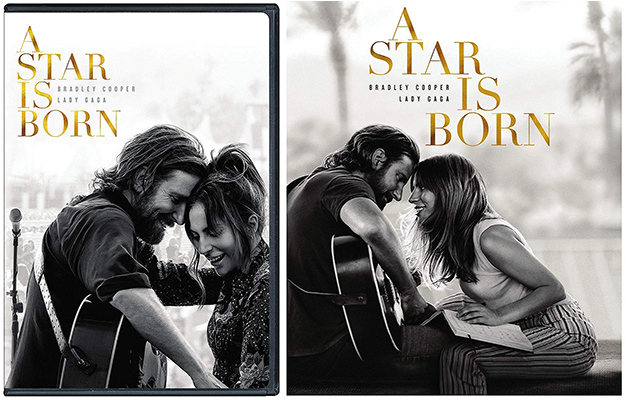 The retail exclusives for the Feb. 19 home video release of Warner’s A Star Is Born focused on variants of the box art. 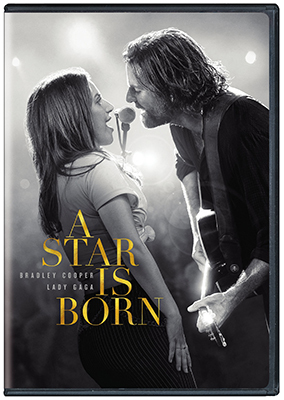 Target offered a version of the Blu-ray combo pack with special box art and the exclusive featurette “A Star Is Born: Backstage Pass,” at $26.99. 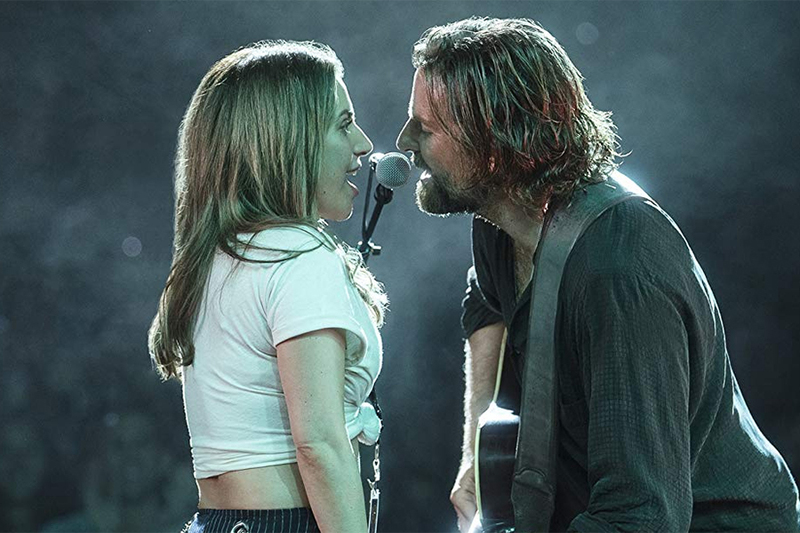 The standard DVD and Blu-ray releases already include a making-of featurette, bonus song performances, and music videos. 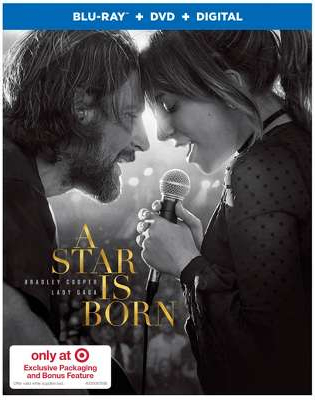 In addition, Target gave shoppers a $5 gift card with the purchase of both the movie and the film’s CD soundtrack, which was priced at $11.99 and included an exclusive poster. Best Buy delivered its usual Steelbook edition of the film, offered for both the standard Blu-ray ($29.99) and the 4K Ultra HD Blu-ray combo pack ($34.99). 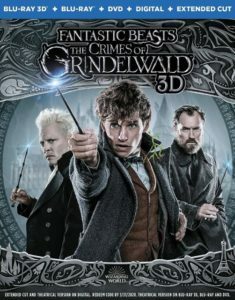 Likewise, Walmart dipped into its usual bag of tricks for an exclusive, choosing to offer a slimmed-down DVD variant with different artwork but without the bonus disc included with the wide release containing the behind-the-scenes material. The only extras included with the Walmart version are the music videos, for $16.96. 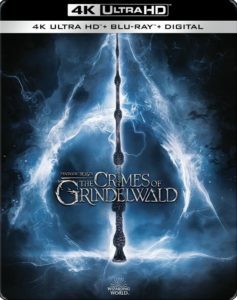 By comparison, the regular DVD with the additional extras is listed on Walmart’s website and priced at other stores at $17.99. 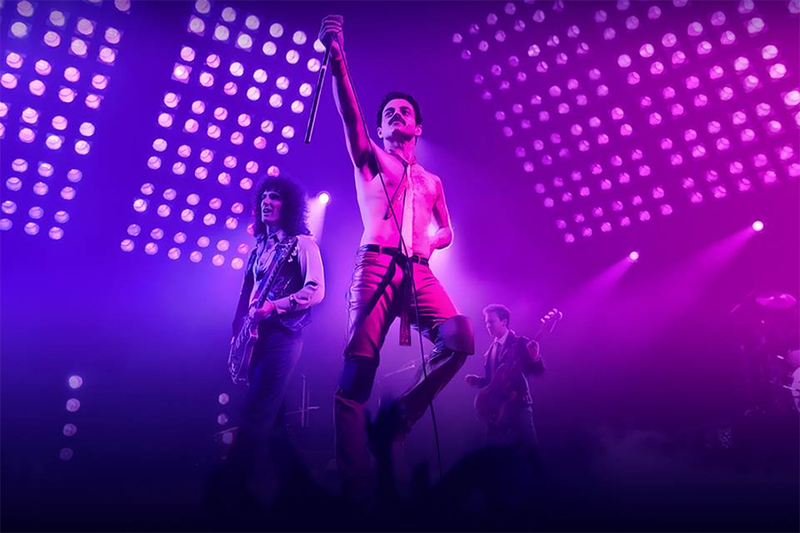 The new-release week of Feb. 12 saw retailers go gaga over Bohemian Rhapsody on Blu-ray, with each of the big three offering an exclusive to entice fans of the Queen biopic. 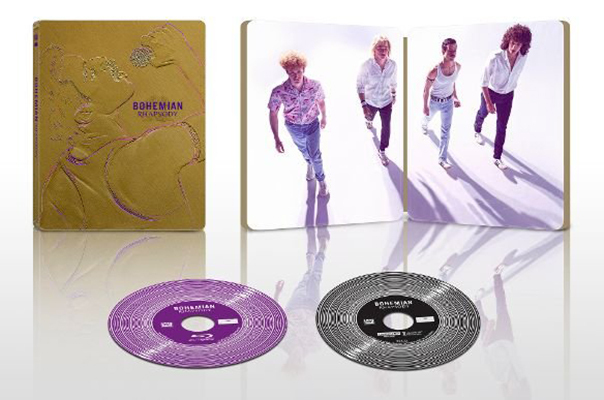 Target offered a version of the Bohemian Rhapsody Blu-ray ($22.99) and 4K Ultra HD Blu-ray ($27.99) with an exclusive 24-page gallery book featuring a look at the music, fashion and making of the film. Target also offered a free $5 gift card with the purchase of the movie and soundtrack CD ($11.99) together. 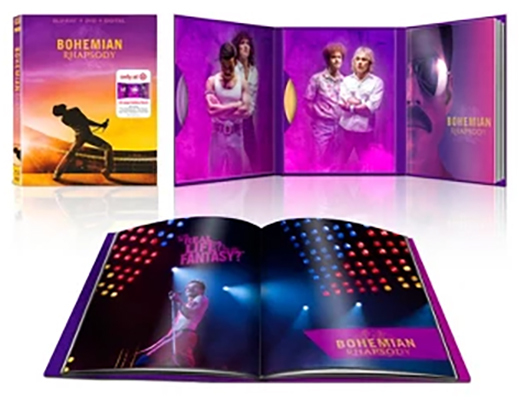 Best Buy had the 4K Ultra HD Blu-ray Disc of Bohemian Rhapsody with exclusive Steelbook packaging. 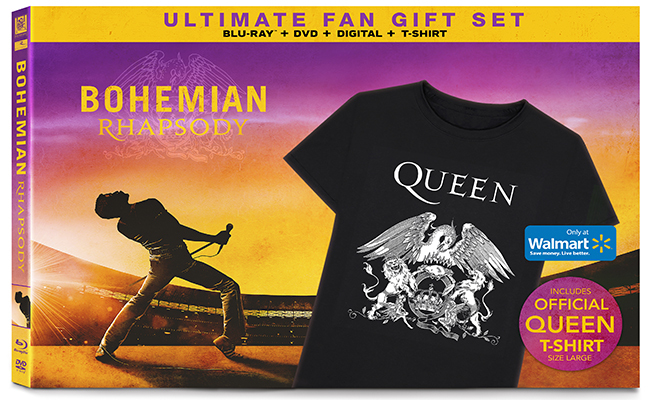 Walmart offered a $24.96 Bohemian Rhapsody “Ultimate Fan Gift Set” that included the Blu-ray combo pack and an official Queen T-shirt. 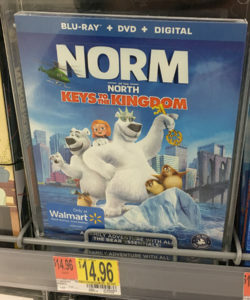 Walmart also had an exclusive Blu-ray version of Lionsgate’s animated sequel Norm of the North: Keys to the Kingdom at $14.96. Target ran a “buy two, get one free” promotion on select movies, books, games and video games. The offer excluded new-release and pre-order movies, 3DS and select Nintendo Switch titles. Best Buy touted Disney hits for under $20, as well as Steelbook preorders for Warner’s A Star Is Born ($34.99 4K UHD BD, $29.99 Blu-ray) and Creed II ($34.99 4K UHD BD), and Disney’s Feb. 26 release of 2011’s Captain America: The First Avenger as a 4K UHD Blu-ray Steelbook.